Planet Waves Classic Series instrument cables provide the ultimate in quality and value. 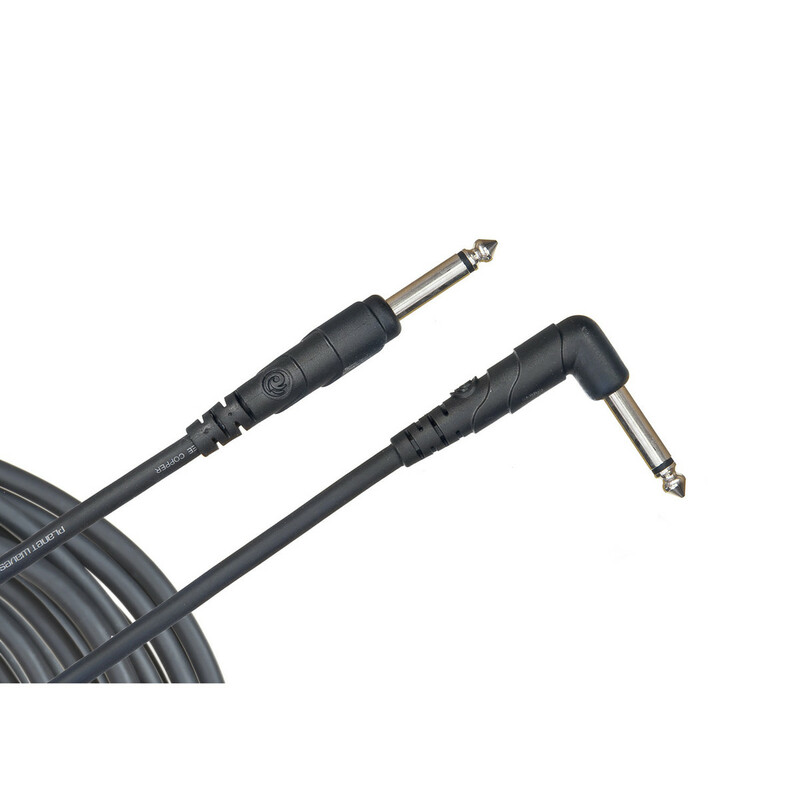 The right angle plug is a great choice for plugging into guitar side-mount jacks and effects pedals. The 10-foot length is ideal for shorter runs, such as guitar-to-pedalboard, and smaller stages. 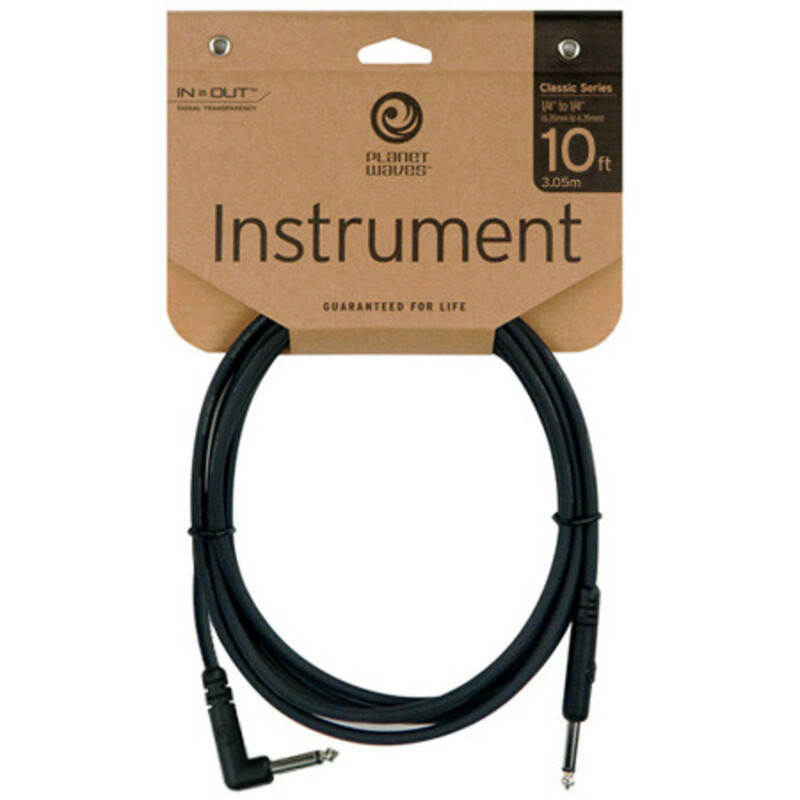 Planet Waves Classic Series instrument cables utilize ultra-pure, oxygen-free copper conductors for low capacitance and pure tone. A single-molded strain relief plug provides durability and worry-free reliability. 90 spiral shielding eliminates virtually all handling noise.